It's nice to hear so much about Rush lately. We mean, nerdlings of Canada couldn't be more pleased with the news that our fearless leaders are playing their classic album, Moving Pictures, in its entirety on an upcoming tour and that the long-awaited documentary movie about the band is almost set to drop. And now, some more exciting news for fans of the band who are planning on attending some of those aforementioned tour dates. Rush have announced through their latest rush.com newsletter that a new CD single will be part of a special ticket bundle package for Rush fanclub members. The CD will feature two new songs off the band's upcoming album. Now, that titbit of news is enough to get Rush fans lathered up in a particularly excitable frenzy, but wait, there's more: also included in the package is one ticket located within the first 15 rows of the stage, a shirt, limited-edition numbered poster, tour program, a copy of the documentary DVD, a copy of the band's recent best-of-live-albums CD, Working Men, and a set of guitar picks. People who buy the bundle also get entered to win a chance to meet the band. As for what this costs, well, you can't put a price on new Rush music, can you? Well, yes, you can, and we're a bit scared to find out. The newsletter didn't give a dollar amount, but there is contact information here that can get you more info. Considering this is a pretty sweet package, we're betting the price isn't going to be cheap. 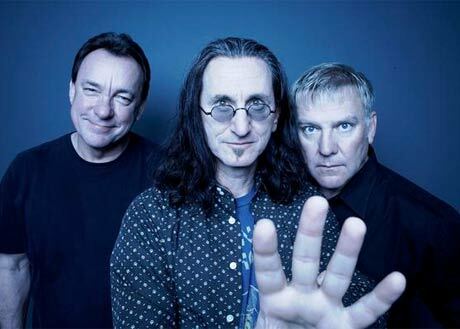 Rush are currently working on their upcoming album with producer Nick Raskulinecz in Nashville.